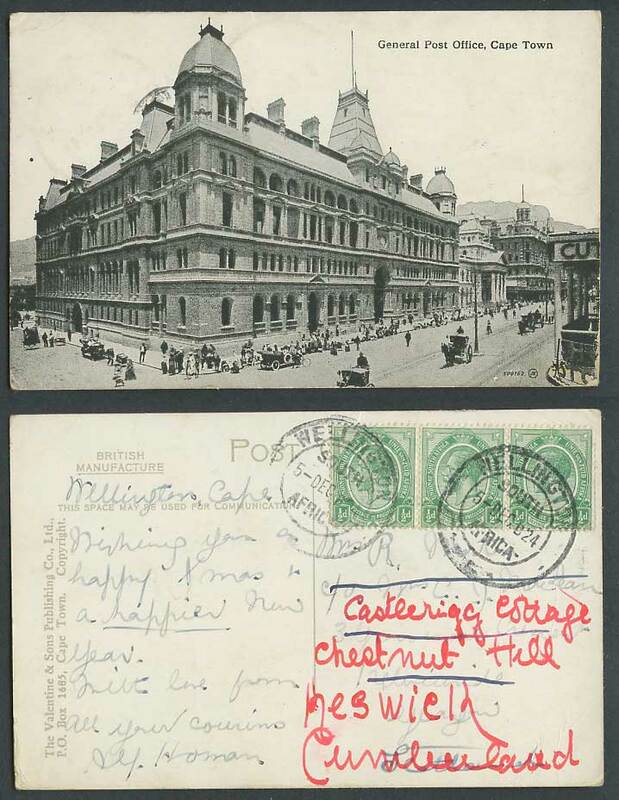 Vintage Old Postcard, South Africa, Cape Town, General Post Office G.P.O. GPO, Street Scene. Cyclist. Motor Cars, Horse Carts. Postally Used in 1924 with Union of South Africa King George 5th 1/2d x 3 stamps, tied Wellington. Redirected.